So far, we've discussed the meanings as well as the connotations of loshon hara. We've also defined, with guidance from the Chofetz Chaim, how much it can damage relationships. Our next step is to shed light upon the varying contexts under which loshon hara can sneak, without our realizing it, into conversation. For instance, were you aware that sometimes flattery can fall into the category of loshon hara, or to put it more precisely, did you ever notice that over inflated flattery instigates gossip? This transgression occurs when the speaker is raving about someone the listener happens to bear negativity toward. Thus, on hearing someone sing his "enemy's praises, the listener might be tempted to retort, "Nah, that's not true. I heard..." and then adds his two cents. If one is unsure as to whether or not the other guy will appreciate hearing him gush over the teacher, fellow classmate or sibling etc., he may proceed but must do so with the air of one tiptoeing on eggshells. Generally, "I have never found anything better for the physical body than silence" (Pirkei Avot 1:17). Nine times out of ten, this is a piece of advice that one can make his decisions by. One is less likely to do damage if he chooses his words with care. Another frame for loshon hara is relating news that appears "innocent" which, due to the context of the conversation, will breed of bad feeling. The following example can be applied to any situation. In the ultra Orthodox community, the expectation for a full time learner who learns, in varying degrees, from nine o'clock in the morning to ten at night. Therefore, it would be considered an explosive piece of news if somebody in the neighborhood mentioned, "Hey, did you know Moshe learns five hour days?" If Moshe were a business man, this would be beautiful news. He works and still makes time to learn! However, if someone who calls himself a full time learner is only applying himself five hours out of his day, people are more likely to respond with a, "What a bum!" Falling into this sort of conversation, the Chofetz Chaim tells us, should be avoided at all costs. Regarding supposedly innocent chit chat, the Chofetz Chaim offers a piece of advice on how to avoid accidents. It is always recommended to imagine the subject of the conversation's reaction, as if s/he were standing right there and taking part in the conversation. How do you think the person you are speaking about would feel if s/he heard you saying, for instance, "Miriam's going to be late for the meeting." There's nothing negative about the statement, nothing judgmental about it, However, if the speaker realizes that his comment will trigger negative reactions in fellow co-workers and/or in Miriam, it's loshon hara! 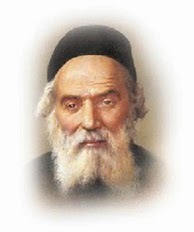 The Chofetz Chaim also instructs us to take stock of our body language and tone of voice. If a comment comes across as derogatory (a wink, a twitch of the neck or nose) then it, too, is prohibited.